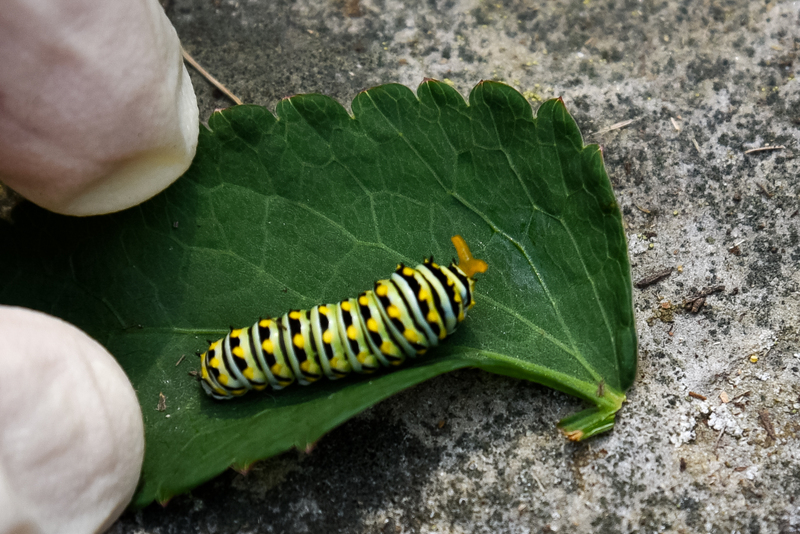 As expected, I found black swallowtail caterpillars on the golden Alexanders in the garden. So I carefully relocated them to otherwise unoccupied dill plants. One of them was cranky about it. Yes, those are the osmeterium mentioned in my September 1 post. 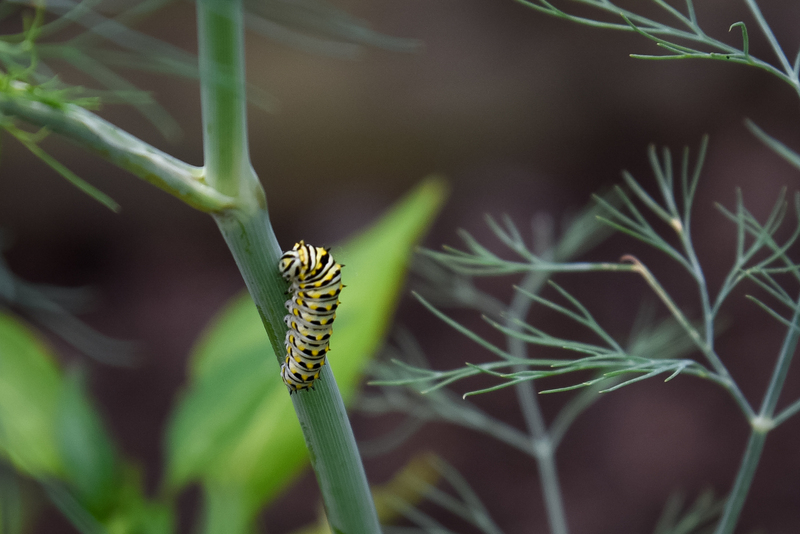 This entry was posted in Uncategorized and tagged black swallowtail, dill, golden alexanders, osmeterium by elizabeth. Bookmark the permalink.